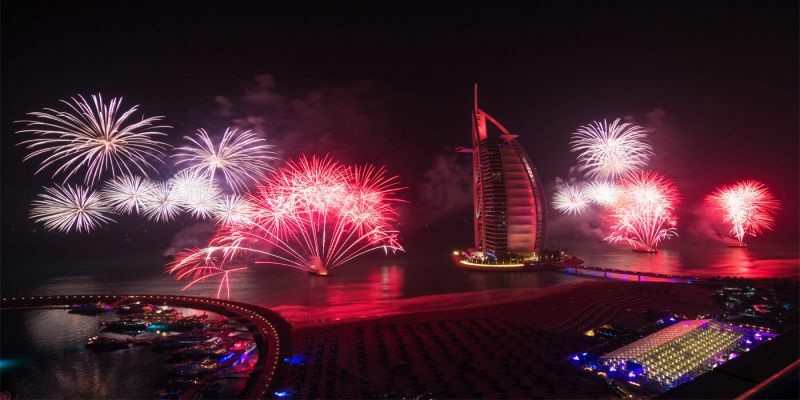 The first destination that comes to most people’s minds when thinking about Christmas and New Year’s celebrations is Dubai. The great forms of celebrations and technology based shows, like the dancing fountain and Burj Khalifa light show and more, make Dubai the number one destination for having a great time during Christmas. While Dubai is an amazing destination during that time, Egypt can be your first option. 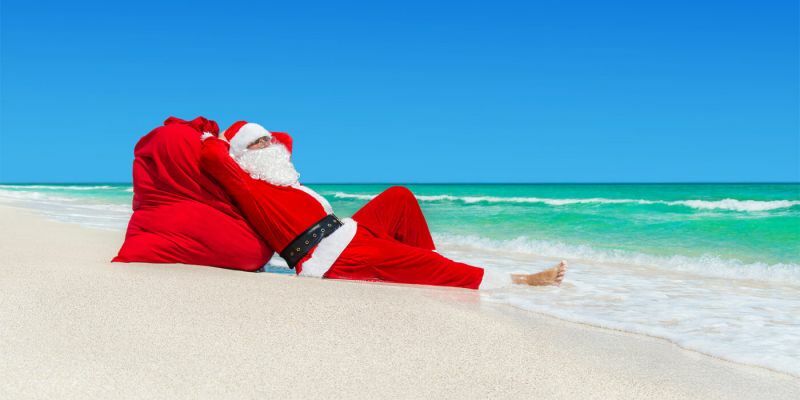 With more than two million visitors during December from all over the world, Egypt can be your perfect choice to celebrate Christmas and New Year’s Eve. The joyful and happy spirit of Egypt, the hospitality, and the various activities and places to go will make you have the time of your life. Also, the night life and the fun activities during the night time will leave you with exceptional enjoyment, not to mention the high level of safety and security that make Egypt stand out among other destinations during Christmas season. Almost all regions in Egypt celebrate Christmas and New Year season. 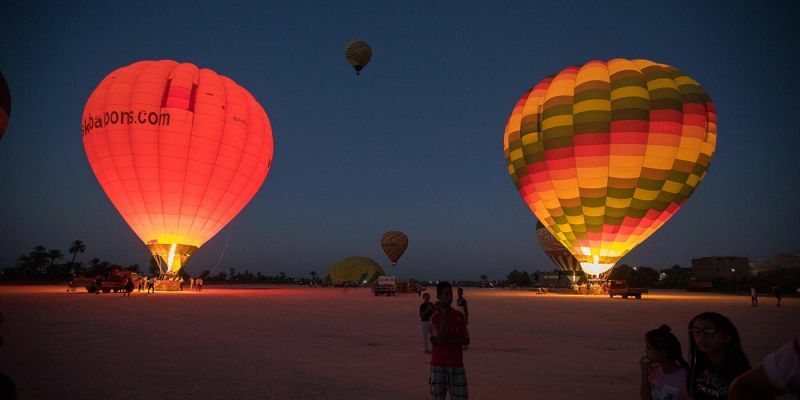 Celebrations may vary from one region to another, while fireworks, special events and organized activities are common in many regions in Egypt. Christmas in Egypt is more than a religion related celebration! As you will witness both Christians and Muslims are happy to join in with the celebrations even if it is not usually part of their custom and culture. Hotels over that season throughout Egypt including Cairo, Luxor, Aswan, Hurghada and Sharm El Sheikh, are always enchanted with decorations like Christmas trees and lights with specialized buffets served along with Egyptian local entertainment such as belly Dancers, traditional Nubian dancers and musicians, Bedouin traditional music and costumes and discos for partying the night away. 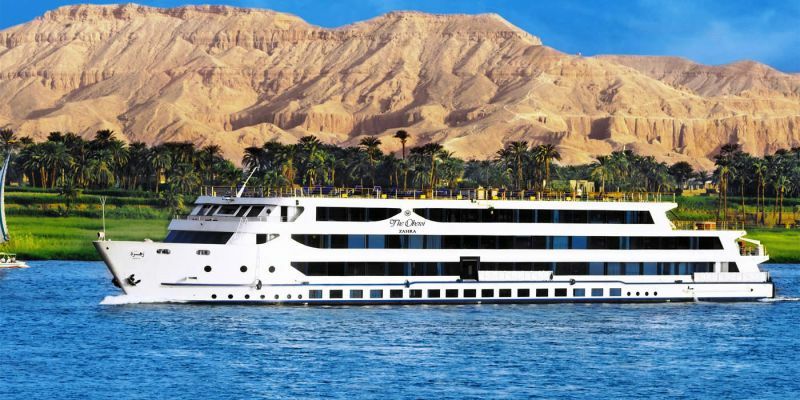 Nile Cruises are on the top of the bucket list when it comes to having a great time in Egypt, no wonder they are always fully booked especially for Christmas season. Festive atmosphere onboard and lavish food along with wonderful Christmas and New Year parties, local entertainment, games and music, and a lot more activities, make Nile Cruises the top priority for visitors. The cruises cabins guarantee a luxury experience for all the guests, with high quality service and housekeeping. 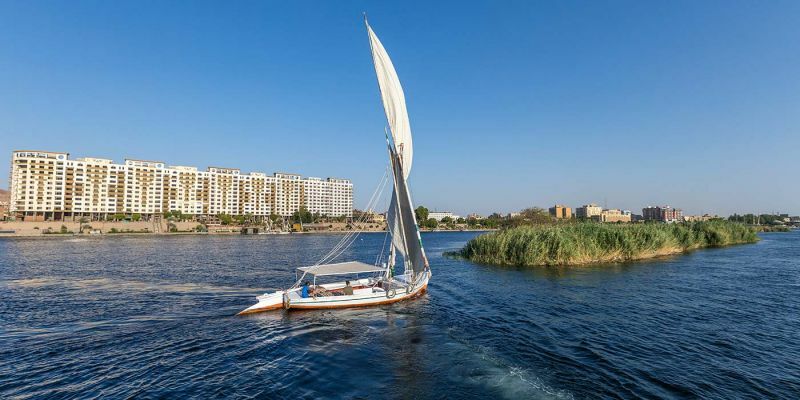 Whilst sailing, on the top deck of the Nile Cruises, you can often see the colorful streets of the local people and eye catching events at the surrounding Temples along with special activities over the Christmas and New Year time. The Pyramids of Giza will leave you mesmerized, especially during Christmas time. Pyramids are attached to the name of Egypt itself; they are the core of the Ancient Egyptian civilization, and are considered as significant evidence on the great architecture at that time. 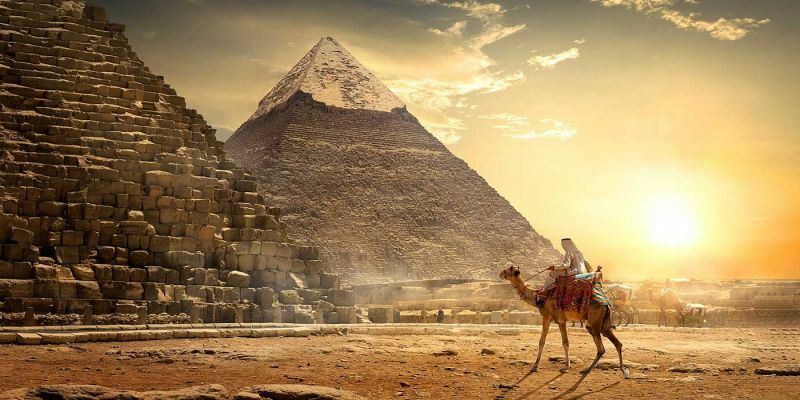 The giant sizes of the pyramids, especially those ones in Giza, Khufu, Khafre, and Menkaure, are and will always be attractive for millions of tourists who visit Egypt throughout the whole year. You can always enjoy a festive Christmas in Egypt with an insight into the amazing Pyramids and the great Sphinx in Cairo. The light and sound shows at the Giza pyramids can definitely amaze you and give you an insight into the Ancient Egyptian history and culture. The Egyptian Museum in Cairo, best described as The Museum of Ancient Egyptian Antiquities is considered as Egypt’s landmark. 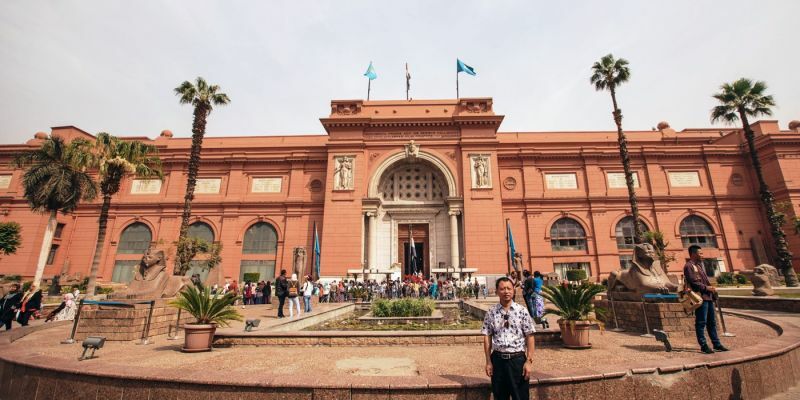 The museum witnesses and houses the world’s most exquisite and extensive collection of ancient Egyptian artifacts and monuments; date back to 3,000 years, starting from the Old Kingdom to the Roman era in Egypt. The ground floor of the museum is arranged chronologically, moving clockwise from the entrance hall, while exhibits on the first floor are grouped thematically. Whilst visiting the museum, there is a hidden gem that you can’t miss. Room 14 on the first floor has a wonderful collection of Graeco-Roman mummies with amazing artistic and beautifully executed face masks, known as the Fayoum Portraits. Also, you can’t miss the breathtaking room 56 of the royal mummies that houses the mummies of Egypt’s most famous pharaohs, including Seti I, his son Ramses II and Tuthmosis II. Luxor is one of the favorite destinations for Egypt’s visitors, especially during Christmas in Egypt. Known as “the world’s greatest open-air museum”, Luxor is the house of an interesting mix of old and new ancient ruins, temples, and tombs. Luxor is divided into two banks, East and West. To the ancient Egyptians, the East bank resembled the land of the living, where the sun rose and people prospered, and the West bank resembled the land of the dead, where the sunset and people went on their journey to the afterlife. Sites on the West bank are rich with temples and tombs, where the public and the rulers were buried to begin their afterlife journey, as believed in ancient Egypt. 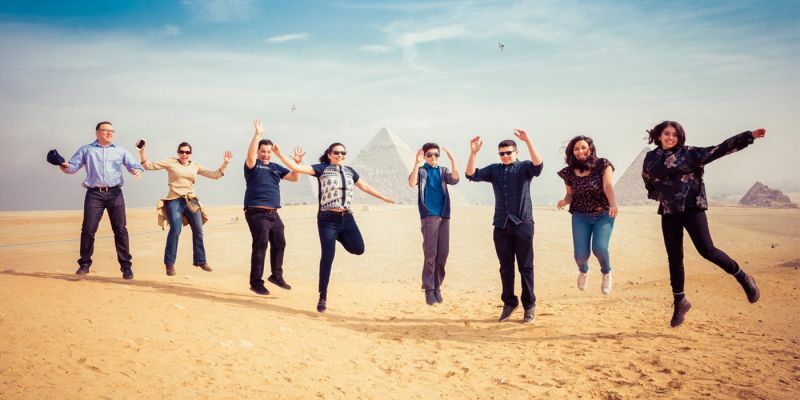 Luxor is indeed an awe factor during Christmas and New Year’s Eve, with the festive atmosphere and spectacular sights, not to mention the peaceful and enchanting weather of Luxor during winter season. Aswan is and will always be a must-see touristic destination in Egypt. 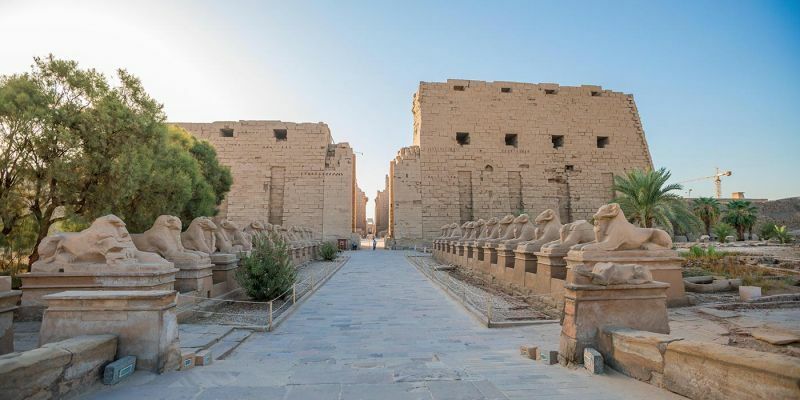 It is famous for its beautiful scenery of the ancient Egyptian civilization along the Nile with the Nubian culture that still has a strong influence in southern Egypt. You can always have precious traditional Nubian goods as souvenirs. A tour to Aswan will never be enough without a cruise trip on Lake Nasser to visit the islands near Aswan. 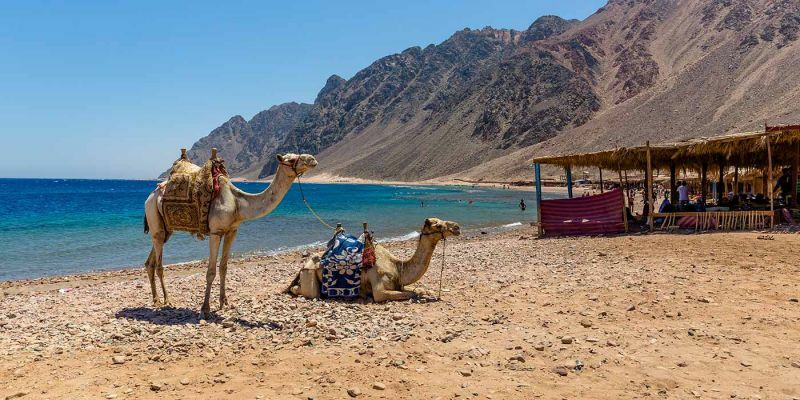 Hurghada and Sharm Al-Sheikh are two destinations that offer various activities that you can do in both the sea and in the desert. The two cities are attraction spots for visitors from all over the world, especially Italians, Americans, Germans, Russians, and Arabs. Mesmerizing coral reefs and colored fish make activities like snorkeling and diving, the main activities in both Hurghada and Sharm Al-Sheikh. There are trips that are held on daily basis, operated by diving centers, to enjoy snorkeling and diving. To make it an unforgettable experience for kids too, you can always enjoy the Glass Boat, as kids can see the coral reefs without swimming or diving. Also, you can’t miss stopping at Giftun Island, one of the most amazing islands in Hurghada. There are plenty of other enjoyable activities in both cities like windsurfing, kite surfing and waterskiing. In Sharm Al-Sheikh, there are also excursions to Sinai’s interior, to enjoy desert safaris and trips to Mount Sinai and St. Catherine.